Medical Home Network is a Chicago based non-profit that connects state and local health providers to enable better care for patients. Their model of care ensures that a patient's records are shared across all their points of care. As a designer at Remedy, I partnered with a copywriter to develop a reimagined website to highlight their capabilities as they seek to expand the model across the country. Medical Home Network is a Chicago based non-profit that connects state and local health providers to enable better care for their patients. MHN's model of care ensures that a patient's records are shared across all their points of care. 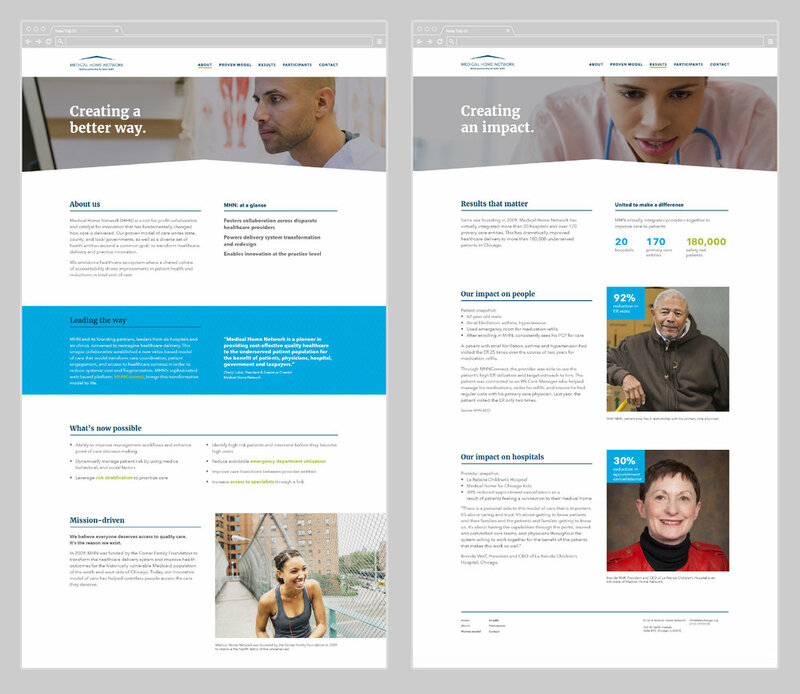 As a designer at Remedy, I helped to develop a reimagined website that highlights their capabilities and shares stories of success as they seek to expand the model across the country.